Compare the best SIM only deals that don't require a credit check. 100% guaranteed acceptance. Been rejected for a contract phone? Or have no credit history? No problem thanks to our range of No Credit Check SIM Only Deals. All the deals listed below from our partners do not carry out a credit check when you apply. There are no tie-ins, in fact, the deals operate on a rolling monthly basis, and you can cancel at any time without any financial penalty. All you need to get started is a credit or debit card and a mobile phone that's unlocked. We compare no credit check sim only deals from Asda Mobile, EE, giffgaff, iD Mobile, O2, Smarty, Tesco Mobile, Three, Vodafone, Virgin and Voxi. To get started choose your ideal SIM only plan from the deals available below. If you’re struggling to get a mobile phone deal due to bad credit or no credit history then a sim only deal with no credit check should be your first port of call. Many of the leading UK networks offer deals that don’t require credit checks in the form of a 30 day rolling prepaid SIM. What’s more, they’re actually very good value for money and these zero tie-in deals have the option to cancel or upgrade/downgrade at short notice. No contract = no credit check. What is a no credit check SIM only deal? A no credit check sim is essentially a 30 day prepaid SIM deal. The reason no credit check is undertaken is due to you pre-paying for the data, minutes and text allowance in advance. This removes any risk to the network of you racking up a huge bill and not being able to pay it. If you've failed a credit check recently for a mobile or sim only contract, then the best way forward is to pay for your usage up front. The network provider has no concerns because they already have the money before you are able to make any calls, send texts and use data. Is this a guaranteed SIM only contract? All the sim contracts on this page are a guaranteed pass. This is because you're not having to go through a credit check. You'll only need to pass through basic anti-fraud measures like with any other online transaction when you use a debit or credit card at checkout. I have poor credit, is a 30-day rolling sim only plan my only option? Most likely, yes. If you have been declined for a phone contract then a 30-day rolling sim deal is one of your only options. Ultimately it depends on how bad your credit actually is, you might be able to take out a SIM only deal on a 12-month contract, or maybe even a contract deal if you are willing to pay a large deposit on the handset. But in the vast majority of cases, it is unlikely that networks will let you sign up for a 24-month contract with a free phone if your credit rating is bad. Wait, isn't this just like a pay as you go SIM deal? Pretty much, yes. Paying up front is very similar to a pay as you go sim deal. But the difference is rather than paying for each text and megabyte of data which gets deducted from your balance, you're receiving a set bundle of data, minutes and texts every month like a normal mobile phone contract you might be used to. With a pre-paid SIM you can also set up a regular monthly payment so you're not having to manually pay via your card every month. Why do some SIM Only Deals have a credit check? Any deal you see on this page doesn't require a credit check, but if you're looking for a more traditional sim only contract, the vast majority of these deals do require a check. The reasoning behind this is because the mobile phone networks need to assess your creditworthiness. It's possible for a customer to run up a large bill and then not be able to pay. The networks need to check your history of paying mobile bills on time. If you're someone who's struggled with this in the past then it's a red flag and rightly or wrongly the mobile network thinks this might happen again. I have failed a credit check for a SIM only contract elsewhere, why? There are many reasons people fail a mobile credit check. Generally, this is because you have no credit history, a bad credit history, you're under 18, or you've just moved to the UK. Whilst the credit checks on sim only deals are relatively easy to pass, customers that fit into the above categories can still be declined. The important thing to remember is that failing a credit check is not the end of the world and thankfully there are plenty of SIM only plans that don't require any sort of credit check to choose from. To get one of the 30 day rolling SIM only mobile phone deals all you need is an unlocked phone and a credit or debit card to pay. While your chosen network won’t do a credit check, they may do an ID check to fight fraud. How do I pay for a no credit check SIM only contract? All the no credit check sim only plans in our comparison engine require payment via a debit or credit card. There's no direct debit to set up but most deals have recurring payments to avoid having to make manual card payments every month. What are the advantages of a no credit check SIM only deal? Great value: Consider the typical mobile phone contract. With that contract, the network will include a mobile phone in the deal. However, these deals don’t usually offer the best value as the customer ends up paying a lot more than the cost of the phone over the whole contract. With a SIM-only deal, you only pay for your usage, there's no subsidised smartphone factored into the bill. Flexible: Not only is a no credit SIM only deal great value, it’s also very flexible. These deals only last 30 days so unlike most contracts, you’re not committed long-term. As such, you can upgrade or downgrade whether you’re using too much or too little of your allowance. You can even cancel at what is usually 30 days’ notice if you find a better deal with another network. Your own phone: With so many choices on the market, choosing a mobile phone can take time. It’s only human to occasionally choose the wrong mobile phone. The problem is that if you’re stuck in a 1 or 2-year contract, you’re paying for that mobile phone whether you decide to keep it or not. With a No Credit Check SIM Only deal you can keep your mobile phone and change it whenever you want. That way you can better keep an eye out for the best deals on the high street and online. Are there any disadvantages of no credit SIM-only deals? The great value and flexibility offered by SIM-only deals make them an option worth seriously considering. The only real negative is that not every network is on board with this type of deal yet. EE is the latest to join our panel of no credit check providers with their new flex plans and we're hopeful more follow suit in 2019. Will a no credit check SIM only deal help rebuild my credit score and history? Because there's no credit facility in place, a no credit check sim deal won't help rebuild your credit history. However, it will help you build a relationship with the network operator if you keep the deal long term. By making regular payments every month for a long period, the network can clearly see you are a reliable customer, this should work in your favour if you try to obtain a contract phone at a later date. Which networks offer the best no credit check SIM only deals? EE's flex plan SIM deals don't require a credit check and they're designed to give customers all the benefits of a contract without the tie-in. Like a traditional sim only contract, a Flex plan allows you to set up a regular payment so you don't have to deal with top ups. But rather than a monthly contract, you're essentially a pay as you go customer, there’s no contract so you can change, pause or stop the plan whenever you like. As an added bonus Flex customers can roll over their data into the following month so they get a second chance to use it. EE also boost the data allowance by 500mb every three months which is proving popular with EE customers. If your mobile phone usage is particularly low, you’ll love FreedomPop. That’s because FreedomPop offers a uniquely free service. With a FreedomPop SIM, you can have 200 minutes, 200 texts and 200MB of data for free. You’ll only be charged if you exceed this allowance. If you feel it’s not enough, you can always go for a higher allowance. For example, 16GB of data and unlimited minutes and texts is just £9.99 a month! Your phone must be on iOS or Android since you will have to download the FreedomPop app. Keep in mind that there is a small one-off fee for the SIM. For good network coverage, Giffgaff is a safe bet since it uses O2’s network. What’s more, you’ll have the additional advantage of 4G internet. Much like FreedomPop, Giffgaff offers a variety of cheap plans to suit all levels of usage. In the case of Giffgaff, these plans are called ‘goodybags’. The calls, texts, and data in each goody bag last one month and it’s very easy to change your tariff if it turns out to be too much or too little. One example of a plan is the £10 goody bag which includes 1GB of data, 500 minutes and unlimited texts. Better still, calls and texts to Giffgaff numbers are free. Many people don’t realise that ASDA offers far more than just groceries. They have a mobile branch that offers equally good value SIM plans as well. Much like with EE Flex and GiffGaff, ASDA Mobile’s SIM plans are monthly. You will get a free SIM card and can then add on a bundle that suits. For £10 a month you can have 3GB of data, 600 minutes and unlimited texts. It’s worth knowing that there also 4G with ASDA mobile since they use EE which means excellent mobile phone coverage across the UK. The network of Carphone Warehouse, iD is relatively new having launched in 2015. It focuses on offering simple and affordable 4G plans. iD shares the network of Three which is currently expanding its 4G coverage. A £10 per month plan gets you 4GB of data, 500 minutes and a whopping 5000 texts. Advantages include plans such as GoTo and ShockProof. With GoTo, you can roll over unused data to the next month while ShockProof plans allow you to set a cap on your usage to avoid any nasty bills. Smarty's prepaid SIM deals don't require a credit check. Because you pay upfront, Smarty doesn’t need to know your credit history. The plans are all 30-day deals and Smarty will not tie you in or overcharge for extra data. Plans start at £7.50 per month for 2GB of data, and all Smarty's no credit check SIM deals come with unlimited UK standard texts and calls. With no commitment, you are free to pause or cancel at any time. The network piggybacks of Three's infrastructure so 3G and 4G coverage is reliable across most of the UK. Smarty's main selling point is that they'll give you a discount on any unused data. They do this at the end of each month, and any data you haven’t used is discounted off next months bill – at a rate of £1.25 per GB. So if 2GB goes unused, you will get £2.50 off. Vodafone's no credit check offering comes in the form of a PAYG sim combined with a big value bundle. All Vodafone's traditional pay monthly SIM only contracts require you to pass a credit check. But their pay as you go sim cards have zero credit checks. The big value bundles aren't the cheapest nor do they have the biggest allowances but their competitive enough and they do come with Total Rollover. That means you can keep any unused data and minutes you've bought as part of a bundle for next month, so they don't go to waste. With a Tesco Mobile pay as you go SIM there is no credit check to pass. Tesco's offering is called a Rocket Pack and they are bundles of set amounts of data, minutes and texts that last one month. For example, a £15 Rocket Pack gets you 6GB data, 1000 minutes and 5000 texts. All Rocket Packs come with 4G coverage and can be used across Europe with Tesco home from home. The offering from Tesco is solid and provides a decent amount of monthly data but they're a bit more expensive than Tesco's standard pay monthly deals and you'll find more appealing offers in our no credit check deal comparison tool at the top of the page. VOXI's no credit check SIM's are only available to customers under 30 years of age. Like EE and Smarty, Voxi works on a pre-paid basis, so there’s no need for a credit check to be undertaken when you apply. Instead, you only need a credit card or debit card and payment will be taken automatically each month for the following month’s plan. Voxi plans run on a 30-day rolling basis, so there's no tie-in. Voxi's main selling point is their Endless Social Media perk. That means you can use most social media apps including Facebook, Instagram, Snapchat, Facebook Messenger and WhatsApp without them eating into your data allowance. The network runs of Vodafone's infrastructure so 3G and 4G coverage is available across the UK as well as free-roaming across 48 countries in the Euro Zone. The only downside? If you're older than 29 then you can't join Voxi. Three's pay as you go sim's don't require any sort of credit check and they're great for big data users. You pay in advance and then either pay for usage at exceptionally low rates (3p per min, 2p per text, 1p MB) or buy an Add-on which gets you a monthly bundle of mins, text and data. All the add-ons get access to Three's benefit Feel-At-Home which offers free roaming in 71 countries worldwide. If you have bad credit and have been declined for a contract with O2 then we're not overly surprised. Telefonica's credit checks are strict but you can still join the network without needing a pass a credit check by using their Big Bundle offering. The bug bundles offer reasonable value for money and include 4G data which also rolls over if you don't use it. You'll get a lot of the pay monthly customer offers like daily deals and rewards on O2 Priority and access to over 15,000 O2 WiFi hotspots in the UK. Can I tether with a pre-paid no credit check sim? All of the UK networks have widespread 3G and 2G coverage. 4G is still yet to reach the entire population but still available in most places across the UK with EE topping the tables with 99% coverage. 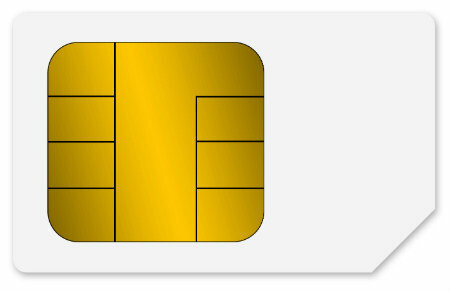 Tiger Mobiles rate EE's Flex SIM as the best 30-day no credit check sim only deal right now. EE certainly isn't the cheapest network but in terms of 4G coverage and reliability, it's our top pick. You'll also get extra data every three months which is a pretty good perk. A close second is giffgaff. They're powered by the O2 network and in terms of giffgaff's pricing, they are very hard to beat so it really boils down to what you are after. You can use our free tool above to compare the entire market of no credit check sims. So use our filters, compare the offers and find the cheapest, or the deal with the biggest data allowance. Got a question about any of the no credit check deals listed above? Feel free to contact our customer service team with any queries.